A card today for the "Stars" challenge at Bah Humbug. The papers are Anita's, the tree is a silver embellishment from my stash, I added some stars around it, a ribbon and a Christmas sentiment. 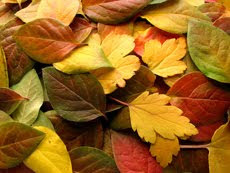 My DT card today is for the challenge of "Looks Like Autumn" at My Time to Craft. The papers are by My Mind's Eye from the Bloom and Grow pad and my image is by Penny Johnson "Looking Chic", I coloured her with Copics added some flowers from my stash. I used a Martha Stewart edge punch, a Leone Em branch punch and finished with a computer generated sentiment. A second card today this one is for the challenge at Lili of the Valley where the challenge is Untraditional Christmas. My stamp is by LOTV, coloured with Copics and Stickles, the papers are by Papermania. The flower is die cut on the Cuttlebug with a Marianne Poinsettia die, I used a Martha Stewart edge punch, added some ribbon and sentiment from my stash. My image is "Too cute to Spook" by Nina of Paper Cupcakes and I coloured with Copics, the paper is by Cosmo Cricket, I added some leaves from my stash and a computer generated sentiment. Today's card is my DT card for The Crafty Pad, the challenge this week is Christmas Sparkle. Our image this week is Christmas Ted with Gifts by Debbie at the Crafty Pad, please take a look at all of Debbie's new images for Halloween and Christmas. I have coloured my image with Copics and added some Stickles, the papers are Basic Grey and from the Spiceberry pad by Memory Box. The sentiment is a Magnolia stamp and I put it on some Prima holly and added some gold Stickles. I finished with aribbon and some adhesive stones. Our sponsor this week is Suzette from Crafty Sentiments and the prize is a ghost Halloween digi stamp. My card today is for the challenge at Bah Humbug which is to use text as your focal point. The stamp I used is by PSX and I have had it for quite a few years, I coloured with Copics and Sakura and added Liquid Pearls for the holly berries and Sakura Soufle for the mistletoe berries, I also added some gold Stickles. The background paper from the Mistletoe pad by Memory Box and I used a Marianne swirl die and finished with a ribbon. The challenge this week at My Time to Craft is "Kids at Play". I used a Manga stamp from Sugar Nellie and coloured him with Copics, I punched some musical notes and put them around him. The papers are from the Hampstead pad by Papermania, the ticket stamp is by Whimsy. The challenge at Paper Cupcakes this week is set by Pattie N and is to use bling on your project. This week's image for the DT is "Easy Does It" by Nina of Paper Cupcakes and I coloured it with Copics. The papers are Basic Grey and Bo Bunny, I used the Martha Stewart doily lace edge punch and added flowers, stickles, lace, pearls, pearl pin, butterfly, adhesive stones and computer generated sentiment. The challenge this week at The Crafty Pad is embossing (wet or dry) and the DT had to use Debbie's image "Ice Cream Sundae". I coloured with Copics and added some tiny adhesive stones on the top. My embossing was dry using the Cuttlebug and a Marianne Flower Doily die, the papers are Making Memories and Upsy Daisy. I used a Martha Stewart edge punch, added ribbon, flowers and Tim Holtz adage ticket. My card today is for the challenge at Bah Humbug, this week we are asked to use your favourite mediums, I chose stamping and colouring with Copics. My image is a Lili of the Valley Christmas stamp, the papers are from my stash and I added a white Poinsettia and computer generated sentiment. Not a very good photo, what little sun we had was casting shadows. Good Morning, well here we are Monday again, so that means another challenge at Paper Cupcakes, this week the challenge has been set by Melanie and is a sketch. The image I have used is Nina's Deco Flower, coloured with Copics, papers are by Kay & Co and one from my stash, I added flowers and adhesive stones. The challenge today at The Crafty Pad is to use Rainbow Colours and Ribbon. The image used is a new release, Rainbow Sally by Debbie at The Crafty Pad, it also includes the text. I coloured with Copics, the papers are free from Making Cards Magazine and I added ribbon and adhesive stones. Our sponsor this week is Joanna Sheen with a prize of a £10 voucher to spend in her super shop. 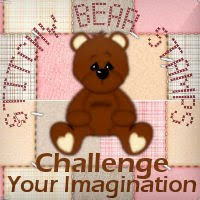 Our challenge this week is running in conjunction with the challenge at Stitchy Bear which this week is extra special. so why not pop over to their challenge blog and read all about the challenges and the super prizes to be won. Another card today this time it is for the challenge at Bah Humbug, a card featuring a Christmas Carol or Song. My card is Frosty the Snowman, the image is by Lili of the Valley and I coloured with Copics, Sakura Souffle to which I added some Crystal glitter. Circles and scallop circles cut with Nesties, the paper is by Magnolia and I distressed the edges with Tim Holtz distressing tool, I added a ribbon, crystal stickles and computer generated sentiment. The scallop and matting are silver though on the photo unfortunately they look black. Good Morning, my DT card today is for the challenge at My Time to Craft which is Jewelled. The image I used is by Elusive Images, I coloured with Copics and added adhesive stones on the leaves and petals (though they don't show up very good on the photo. The papers are Papermania Summer Blooms, I used the Martha Stewart Garden Trellis edge punch and finished with buttons, ribbon and computer generated sentiment. The challenge at MTTC will run for two weeks as there is a DT call so please pop along and enter if you are interested in joining the Design Team. My DT card today is for the challenge at Paper Cupcakes. This week's challenge has been set by Nilla and is a Recipe - 1 Ribbon, 2 Embellishments, 3 Papers, 4 Flowers. I used the Merry Wishes image by Nina of Paper Cupcakes and coloured with Copics, the papers are from the "Back to Basics" pad by Dovecraft, I added 1 Organza ribbon, 2 pearls and punched 4 flowers from the gingham paper, curled the edges and added some Liquid Pearls in the centres, the sentiment is by Red Hot Bed. Well here I am back from holiday in Lake Como, Italy, where we had a great time with all the family, the weather was lovely and hot and luckily we arrived home to sunshine too. My first card after the hols is a DT card for The Crafty Pad where this week the challenge is to use citrus colours and we have used Debbie's image of a Lollipop. I coloured with Copics and the papers are by Upsy Daisy and a free one from Making Cards Magazine. The Summer stamp is by Hangler and Stangler and I added some Prima flowers and a rose from my stash, the border was cut with a Martha Stewart edge punch. Our sponsor this week is Ali from Crafty Ribbons and the prize is a selection box of Christmas Ribbons.